As Teresa of Avila said, “Prayer is nothing more than an intimate conversation between friends.” God has begun a conversation with us in scripture. In prayer, we can participate in that conversation and continue it. Personalizing scripture can lead us into a new depth of conversation with God. The Bible contains prayers and canticles (songs) that give us words to pray and praise. Many, such as the Lord's Prayer, the Magnificat, and the Canticle of Simeon, have become part of the common prayer of the church liturgy. Yet any of these may also give voice to our own joys, yearnings and struggles. 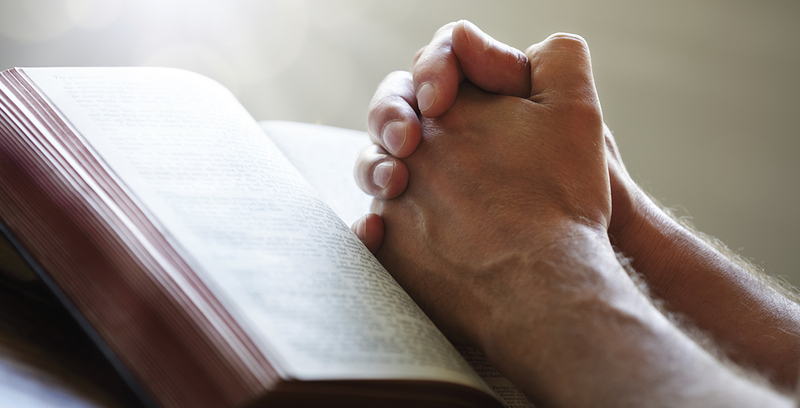 We truly pray the Lord's Prayer when we take each phrase and make it our own, finding its truth reflected in our beliefs, needs, fears and aspirations. Mary's Magnificat can become our own song of exultation, hope and trust. There are times when we recognize with her that "the Mighty One has done great things for me" (Luke 1:49). We may know from experience what it means to be lifted up from lowliness, or we may see the emptiness of those who seem powerful and self-satisfied. Thus, we know that the truths spoken in Mary's words are universal because they are so personal. We can personalize a passage of scripture by placing our own name in it. Some passages from the books of the Prophets lend themselves to becoming personal prayers as we make ourselves the recipients of God's Word. • Select a scripture from the list below or another scripture you have chosen. • Prayerfully take the first line or phrase of the passage and insert your own name, as if it were addressed to you. • Meditate on the words as they are spoken to you. What is your response to the reading? Write down your honest reply. • Return to the scripture text. Take the next line or phrase as if it were spoken to you. Follow the same process in responding to the message there. • Be aware that God may lead you on from what has been spoken to you in scripture. Respond to that leading and allow the conversation to flow naturally. For example, read Isaiah 43:1–4 as a basis for conversation with God. Begin by asking the Holy Spirit to guide this time of meditation and prayer. In your journal, start by writing out the verse, and inserting your name. Hear it as spoken to you in a personal way by God. As these words sink in, what is God saying to you? Listen deeply to that message. Write your response to God as honestly as possible. It may be positive or negative, trusting or doubting. God wants you to be real. Return to the next words in verse 2, again writing them personally to you. Continue this process through the end of the passage—God’s words, your honest replies. Allow the conversation to continue if that seems appropriate, depending on God’s spirit to guide you. Isaiah 55:1-3 – Thirsty for More? Joshua 1:9 – Be Strong and Courageous!